Cardio Sculpt is a fun, fairly intense class that combines cardio exercises with muscle sculpting exercises, such as the use of weights and barbells. 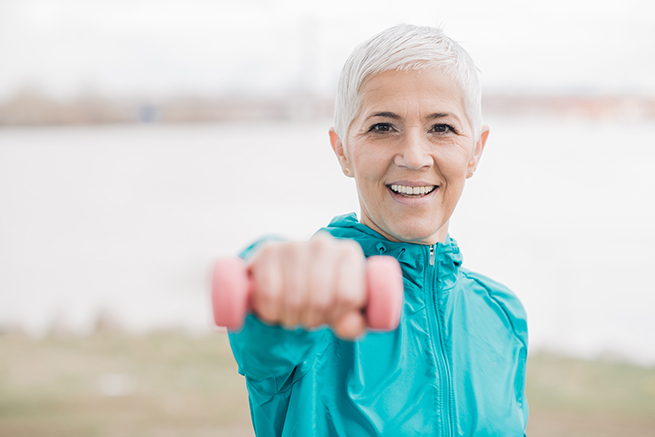 These classes are designed to get your heart rate up and tone your muscles simultaneously, and usually consist of several different exercise formats during each – which means there is never a dull moment! All of our cardio sculpt classes start with fun warm-up exercises that get your body ready for the rest of the class using lunges, stretches, and warming up the core. Then, a series of higher intensity exercises are introduced, each working and toning a different muscle group. Various cardio exercises are mixed in throughout, making this one of the most versatile and exciting classes that we offer. One of the main benefits of cardio sculpt is its ability to increase the body’s metabolism, which helps tone body fat and put on muscles while you add more calorie-burning power. A well designed cardio sculpt workout flows quickly from one exercise to the next and keeps your mind in the game the entire time. By concentrating on each exercise and engaging your mind in your fitness regimen, you’ll actually get quicker results than if you just zone out and move your body mindlessly through the motions! Cardio sculpt workouts get your heart pumping (which burns a lot of calories and fat) and incorporates low-weight, high-repetition resistance exercises to tone and sculpt your muscles. This type of workout is an amazing method of getting an overall body-toning, strength workout and fat-burning/ calorie-burning cardio workout all at once. One of the best things about cardio sculpt workouts is that they aren’t high-impact; which means these exercises won’t stress your joints. In fact, a cardio sculpt workout can be completely no-impact, and yet still be highly effective at burning fat and calories! Other terrific benefits include increased energy levels, lowered risk of inflammation, improved stamina, and increased muscle resistance.